Pro-Grow Agri Bio-Cal rapidly increases soil pH by adding micro-ground calcium carbonate that quickly gets to work on acid soils. Our agri-fertilisers are made up of high quality calcium carbonate from the Scottish Highlands. 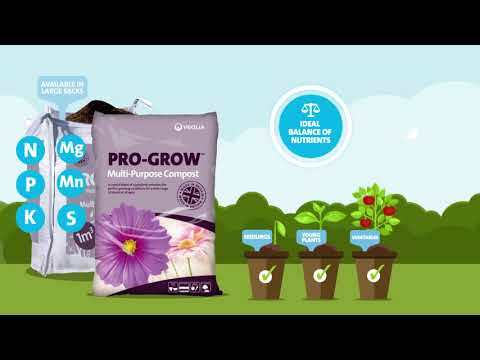 Pro-Grow Agricultural Bio-Cal is suitable for all crop types and can be used on organic crops. It can be applied all year round but nitrogen applications should be left at least three weeks after applying Bio-Cal to reduce the risk of nitrogen loss. Follow recommended application quantities indicated above and avoid over-application. This product should be kept in a safe, dry and cool place. Store away from children, animals and feedstuff. Order online and get Pro-Grow delivered to your home. Pro-Grow Bio-Cal Agricultural 600 kg bulky bags are delivered within 5 - 7 working days. In order to give you the best possible value for money, orders are delivered on a pallet. Pallets are delivered on a 7.5t vehicle and unloaded using a pallet trolley. If you order more than 5 bags then you will need good access for a 7.5t vehicle and please be aware that the pallet trolley cannot travel across un-even surfaces (e.g. gravel). We will try our best to put the pallet where you need it but WE MAY ONLY BE ABLE TO DELIVER IT TO THE KERBSIDE. If you live in a countryside lane please mention on the checkout 'delivery instructions'.